The knife-wielding terrorists are out and engaging in their savagery again today. 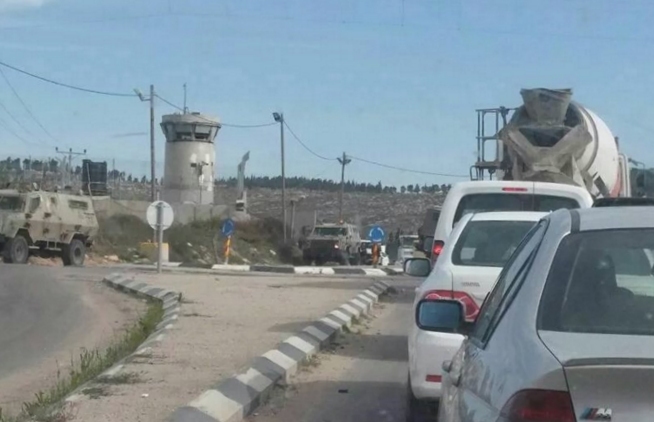 An Israeli was stabbed and seriously injured this morning (Wednesday) at the Al-Fawwar junction, close to an Arab town of the same name three kilometers south of Beit Haggai on Route 60, south of Hebron. The attacker was a Palestinian Arab who, according to Haaretz, emerged from a vehicle armed with a knife and lunged at the Israeli (we assume an IDF soldier, but that's not confirmed). His attack was stopped by IDF gunfire and the attacker killed. His victim, a man in his twenties, has stab wounds to the upper body and has been rushed to Shaarei Zedek Medical Center in Jerusalem. Worth recalling that an Israeli truck driver, Avraham Asher Hasno, 54, from Kiryat Arba, came under rock-hurling attack at about the same location just a few weeks ago. Ynet says he stepped out of his vehicle to go after the attackers and was then run down by a commercial vehicle and critically injured. He died at the scene soon afterwards, leaving a bereaved his wife and seven children. 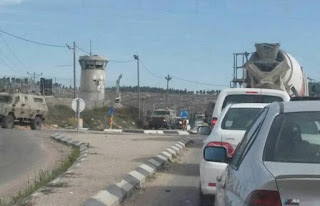 The driver of the truck turned himself in to the Palestinian security authorities soon afterwards claiming that the collision was an accident and that he had fled the scene out of personal fear. Two weeks later, the Defence Ministry announced that Mr Hasno was being recognized as a victim of a terror attack. Turns out the driver who handed himself in had been involved in a physical clash with his victim a day earlier.